My fridge is awfully full (hard life I know) so I figured it’s about time I start playing some catch up. I found this beauty on the shelves of The Four Firkins earlier today and couldn’t help but pick it up. Left Hand is a delightful brewer out of Longmont, Colorado that makes some delicious brews, I particularly enjoy their Milk Stout and Jackman’s Pale Ale. Many breweries have been experimenting with Warrior Hops as of late but this years brew is a bit extra special. 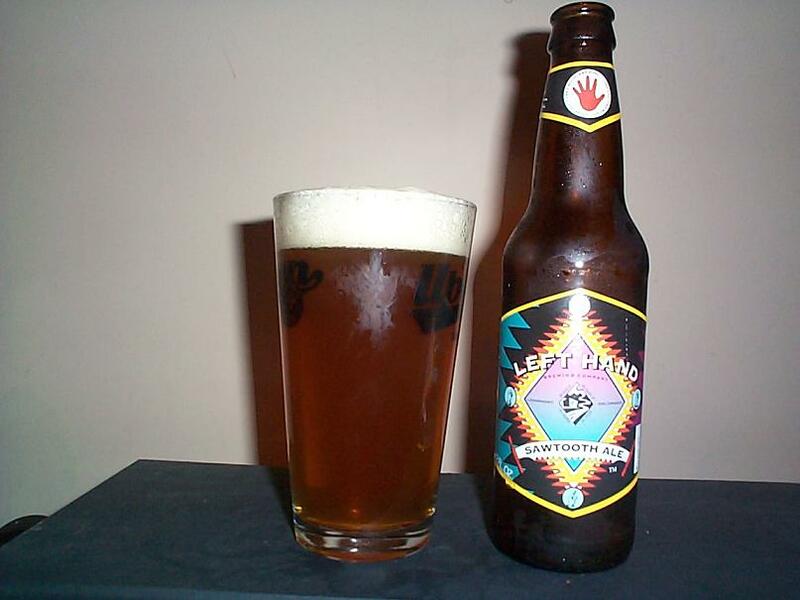 I quite enjoyed Left Hand’s 2008 version of their Warrior IPA and I’m sure this year will be no different because aside from a nice new label they have also brewed this batch with 100% fresh hops from local farms in Colorado. 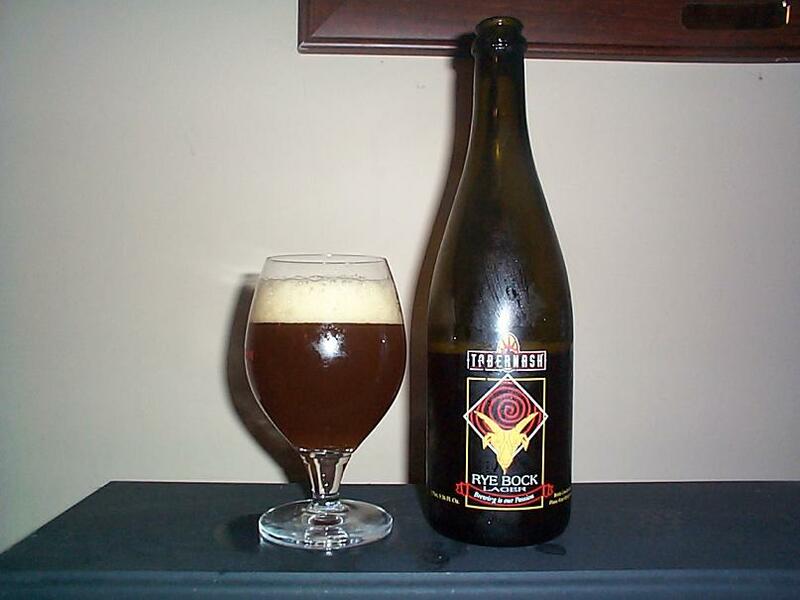 This ale pours a very translucent light red hue and produces about three fingers of tight off white head that lasts for many minutes, slowly dissipating and leaving a good deal of lacing around the glass. The aroma of this brew is absolutely marvelous. Smells of sweet citrus, floral and fruity hop notes that are incredibly robust, lots of passion fruit. Moderate bitterness is present but quite minimal for something brewed largely with Warrior Hops. Flavor is even more robust and complex than the aroma. Full of passion fruit flavors as well as other citrus and fruit hop notes. Malt imparts some additional sweetness but allows the fresh hop flavors to shine. Warrior, Cascade and Goldings appear to be the major hop varieties used in this brew and boy can you tell. A nice gentle bitterness is present mid sip and grows stronger as you finish adding a nice character to the flavor of this brew and showing you what Warrior Hops are all about. Though this is one hoppy brew it is more floral and fruity than bitter, which somewhat surprises me, but is wonderful and makes this 6.6% ABV beer approachable for even those who aren’t accustomed to serious IPAs. Body is medium and the mouthfeel is quite crisp. Frankly I expected this beer to be more bitter and less approachable but who cares about expectations. This is one tasty brew that has unquestionably been kicked up a notch by the use of fresh hops and will be a refreshing delight to all of us hop heads out there particular those who are getting a bit tired of being slapped in the face with brutal bitter hoppyness, not that I would ever complain. 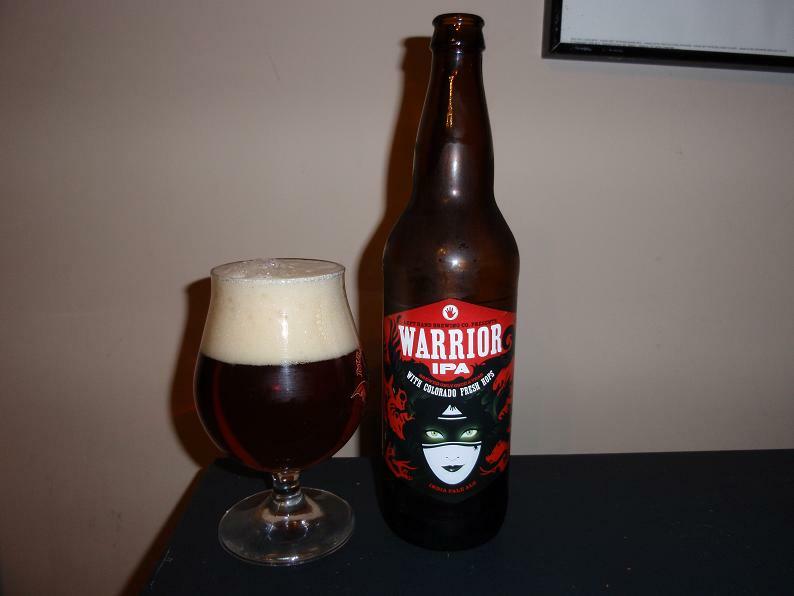 Definitely one of the most wonderfully balanced brews I have consumed with Warrior Hops playing a major role. Hop head or not. Give it a shot and ride your bike. 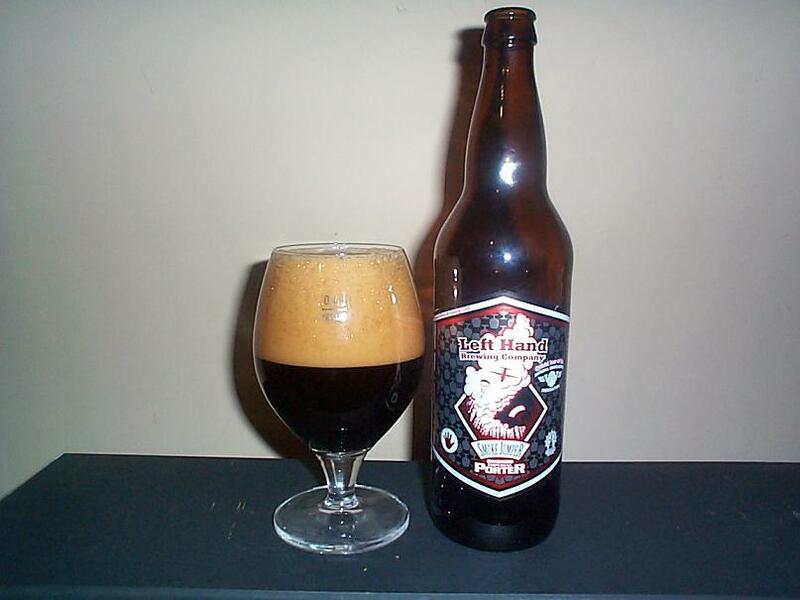 Today I am very pleased to be pouring a glass of Left Hand Brewing’s Smoke Jumper, a Smoked Imperial Porter. This ale is their most recent brew in their Big Mo’ Series and hales from Longmont, Colorado. Though Left Hand has consistently impressed me I rarely get to purchasing their ales. I am not the biggest fan of smoked ales as I find many of them overpowering when consumed alone, but luckily the other week when I was picking up my Hopslam at The Four Firkins Alvey pointed out this new ale and shared some samples with the patrons in the store at the time. I can not thank him enough, this is one wonderful brew. On to the good stuff. This ale pours a nice deep black color that is completely opaque and produces a solid four fingers of dark brown head that clings nicely around the glass. Aroma is wonderfully rich and malty, creating scents of coffee, chocolate and toffee as well as some subtle sweetness and nice smokey barbecued pork smell. I’m already starting to get hungry and I haven’t even taken a sip. This is one full flavored ale with a massive malt profile. Tastes largely of dark malts that create some pitted fruit flavors complimented with some very nice sweetness that helps balance the rich smokey flavors that make me want to light up the grill ASAP.Â The body is medium but light for a porter and the mouthfeel is very creamy. The 9.2% ABV of this ale is very well hidden by the many flavors of this ale so don’t forget what your drinking. If you are a fan of smoked ales you will most likely enjoy this one and even if you do not it is still likely worth your time. This is one perfect pairing brew and would go wonderfully with anything grilled or add some very nice components to something simpler like a risotto or even some nice seafood. Give it a shot and ride your bike. Today we have an interesting beer with some interesting history. While browsing at Hennepin Lake Liquor I found a few of these bottles on discount and decided the only logical thing to do was give them a try even though I had no idea what I was getting myself into. After getting home and reading the bottle I realized that this beer is actually made by Left Hand Brewing from Longmont, Colorado who purchased Tabernash in 1998 also from nearby Denver, Colorado. As of this year the Tabernash name has been retired but Left Hand still brews this beer under their name apparently at a slightly lower ABV. With that said it will be curious to see how my bottle tastes as it has obviously been aged, but has no markings at all to suggest when it was brewed. The concept of a rye lager also intrigues me, so lets get to the beer. This beer pours a very nice completely opaque cranberry red color with no notable sediment. Producing a couple inches of light tan head of tight small bubbles that dissipate rapidly. The aroma of this beer is quite robust, dry but sweet cherry hits my nose first with gentle malt aromas mixing in with a slight alcohol scent in the end. This beer has an interesting flavor. At first I detect a somewhat sour cherry flavor that is rather quickly brushed away by a bittersweet flavor that seems to balance out nicely with the malted rye. This is a very smooth beer with a nice balance between sweet cherries and rye malts with a few off flavors here and there that seem to fade as I drink more of this beer. I will have to find myself a new bottle of this beer to determine if some of its slightly strange bitter and sour flavors are simply due to the uniqueness of this brew or due to potential over aging or perhaps improper storage. Slight alcohol and carbonation are noticed as I continue to drink which is sensible considering its 8.1% ABV. The mouthfeel of this beer is medium with its body a touch lighter. Overall I this is a very fine brew with some nice unique flavors and a wonderful balance that I didn’t expect, particularly from a lager. If you want a sweet but well balanced, somewhat lite but still full flavored brew this is absolutely worth your consideration. This beer would accompany a hearty meat and potatoes meal marvelously with its sweet but smooth flavors. Give it a shot and ride your bike.